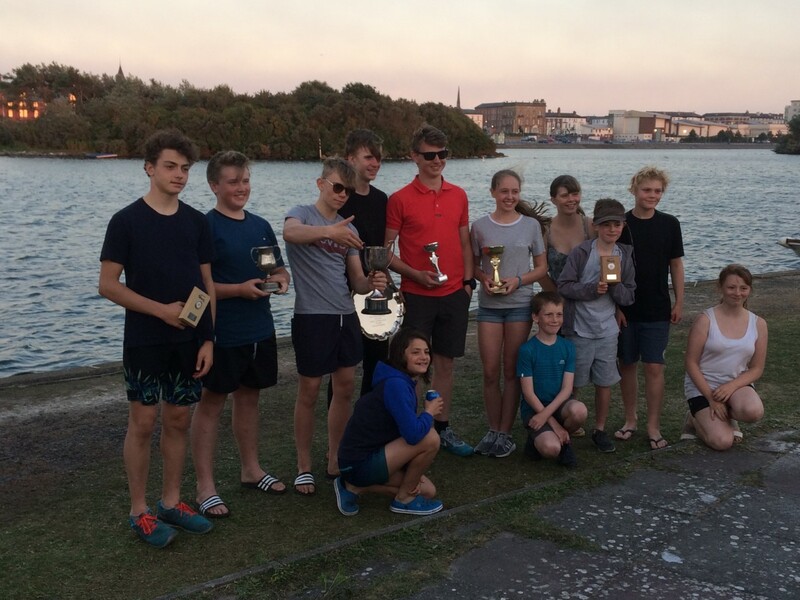 Southport 12-Hour Race – our Juniors did us proud!! The 12-hour race has been a significant event in the NW junior calendar for a good few years now. This year was no different and for the first time we had enough juniors to enter 2 teams and everyone could get out on the water. The team was set up early Saturday morning for Julia’s 7.20am briefing, ready for the off at 8.00am in a light force 2 breeze. Harvey & Lewis got the Enterprise team underway and we soon had our first trophy of the day (the Rogerson Trophy) as they got the best start and set the fastest first 2 laps in the U18 category, meanwhile Noe and John got the GP14 team off to a fast start, maintaining a position in and around the top 10 out of the 23 boats competing. The wind built during the morning and by midday there were gusts of 12-14 knots coming through. 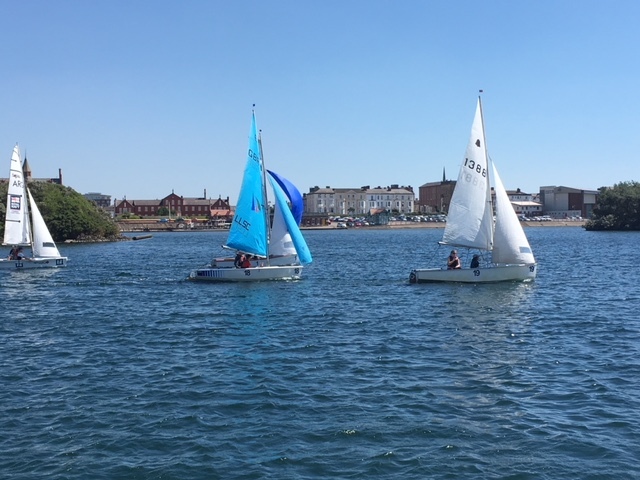 The teams went through their planned changeovers smoothly despite a difficult onshore breeze and the Enterprise team chased down the initial leads of the Enterprise Association and Budworth, fluctuating between 2nd and 3rd in the overall standings. As the breeze built the GPs started to have a significant advantage down the broad reaching leg and started to stretch out a lead which was not seriously challenged in the afternoon. 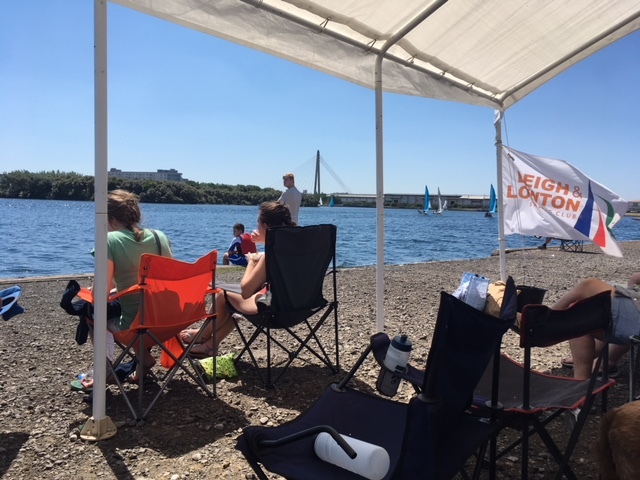 As the other trophies came up for grabs, Eloise had a good crack at the ladies fastest lap with Archie in the front of the Ent but the blustery wind made boat handling very tough on the gybes in particular, no capsize but plenty of action! Niamh and Elena did very well in the GP14 for the ladies’ lap, one of only a handful of all-female teams on the water. Thomas Fielding-Link was well in contention for the U14 fastest lap in our Enterprise team, missing out on 1st place by just 3 seconds, meanwhile Ben did another great job for the team in the GP14. The main challenge for the Enterprise team was to stay in the lead for the U18 trophy, and after a strong performance from Archie Leckie with the longest stint of the day, Simon Hall and Thomas Fielding-Link brought the team home to clinch the Booker Trophy. The team finished in 4th overall (6th last year) and 2nd Enterprise, winning the McDonald Plate. 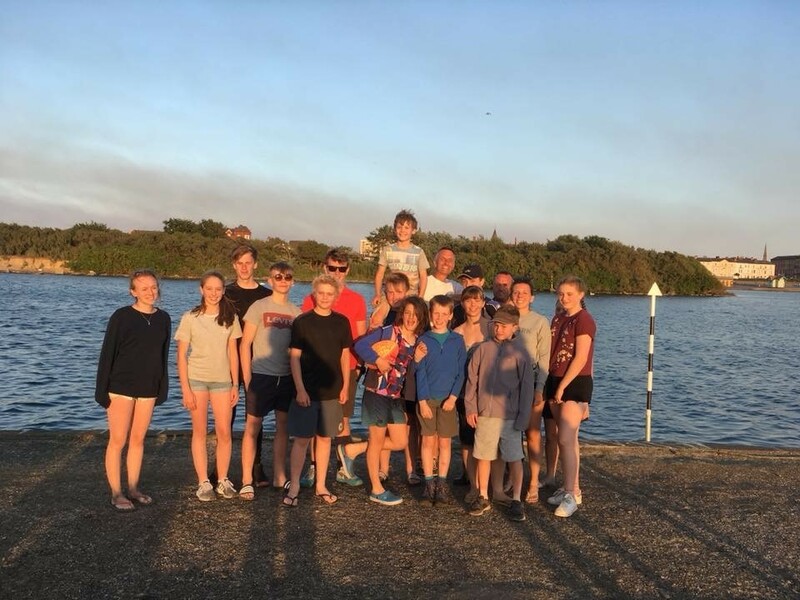 Our GP14 team consisted mainly of club members who had been in our junior programme for less than 2 years and all of the team were U15 – the youngest team of all the entries. 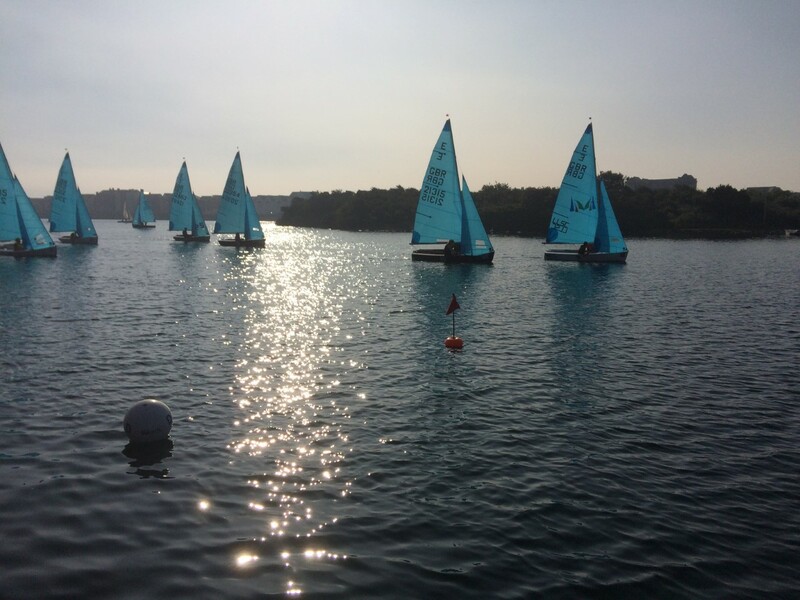 A result of 16th out of 23 entries was a very creditable result, especially considering the gusty conditions and their lack of time sailing double-handed boats, only one brief capsize all day. 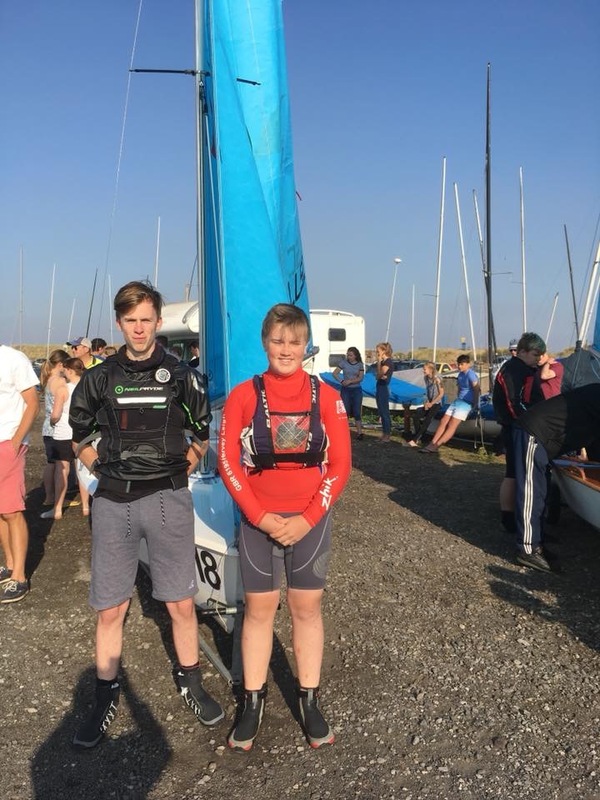 Huge thanks go to Tash, Julia and Joe for leading the juniors on their Friday night training and preparing them for the challenge of sailing large double-handers in the 12 hour race – absolutely fabulous! Lewis also did a great job managing the Enterprise team on the day, keeping them motivated and ensuring that the pairings worked to our best advantage. Looking forward to next year to see what our young team can do to better this year’s performance! Well done all for your commitment.